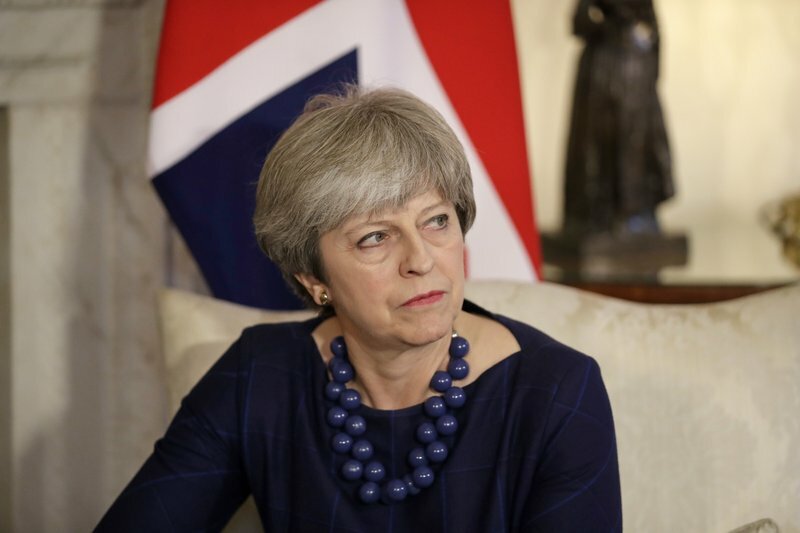 The British government is not legally bound to seek Parliament’s approval for military strikes, although it is customary to do so, and many lawmakers expressed anger that they were not consulted. “We cannot allow the use of chemical weapons to become normalized, either within Syria, on the streets of the UK, or elsewhere,” May said — linking the chemical attack in Syria with the poisoning of a former Russian spy and his daughter last month with a military-grade nerve agent in the English city of Salisbury. Ahmet Uzumcu, director-general of the Organization for the Prohibition of Chemical Weapons, said Monday that the organization’s team “has not yet deployed to Douma,” two days after arriving in Syria. Corbyn said May should remember she “is accountable to this Parliament, not to the whims of the US president. May denied acting at the behest of the US. He said the joint action of the US Britain and France was aimed at placing a prohibitive cost on the use of chemical weapons and degrading Assad’s ability to use them. EU foreign policy chief Federica Mogherini said the EU wants to use a major meeting on Syria in Brussels next week to give impetus to UN peace efforts following Saturday’s airstrikes. “There is the need to give a push to the UN-led process,” Mogherini said.